Individuation. A process of psychological differentiation, having for its goal the development of the individual personality. Individuation is a process informed by the archetypal ideal of wholeness, which in turn depends on a vital relationship between ego and unconscious. The aim is not to overcome one’s personal psychology, to become perfect, but to become familiar with it. Thus individuation involves an increasing awareness of one’s unique psychological reality, including personal strengths and limitations, and at the same time a deeper appreciation of humanity in general. Individuation and a life lived by collective values are nevertheless two divergent destinies. In Jung’s view they are related to one another by guilt. Whoever embarks on the personal path becomes to some extent estranged from collective values, but does not thereby lose those aspects of the psyche which are inherently collective. To atone for this “desertion,” the individual is obliged to create something of worth for the benefit of society. Individuation differs from individualism in that the former deviates from collective norms but retains respect for them, while the latter eschews them entirely. The process of individuation, consciously pursued, leads to the realization of the self as a psychic reality greater than the ego. Thus individuation is essentially different from the process of simply becoming conscious. 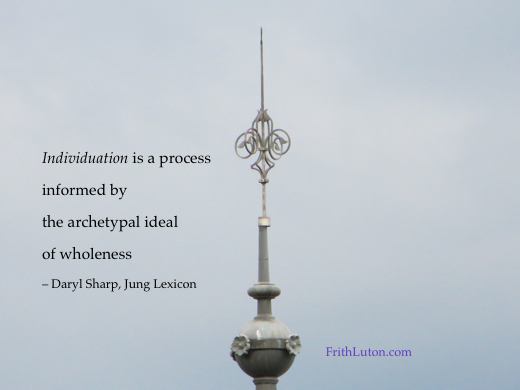 In Jung’s view, no one is ever completely individuated. 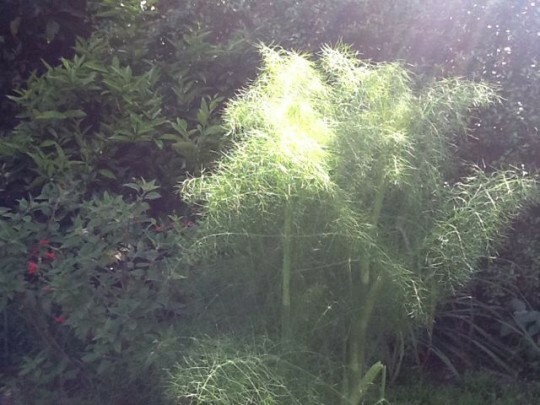 While the goal is wholeness and a healthy working relationship with the self, the true value of individuation lies in what happens along the way. 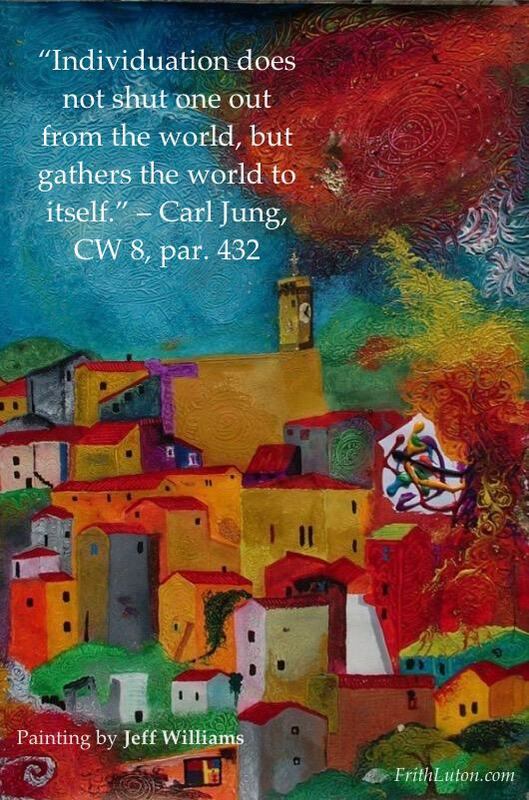 © from Daryl Sharp’s Jung Lexicon, reproduced with kind permission of the author. Painting by Jeff Williams courtesy of the artist. More of Jeff’s work can be seen here.